This is the first in the series of types of Wedding Venues. Banquets are nowadays one of the most common of the options opted for by brides and grooms living in metro cities. While it is the safest of the choices, please remember that in weddings guests primarily come for the food…not the decor, not for the bride or groom, and definitely not for getting photographed. So while other things may be high on your priority list, make sure that you are choosing a banquet which has a killer track record of excellent caterers. No matter what the decor, or the place…if the food is good…your wedding is sure shot going to be a hit ! I was initially inclined towards choosing a Banquet Hall for my wedding. At that time it seemed the best possible choice – less hassles, well organized, and the safest of the options. No matter where you live, you will find tons of options available in Banquets all around the city. From hotels to standalone Banquet Halls, one can opt for whatever option based on the guest list, budget and preference. As compared to any outdoor venues, a closed banquet hall definitely gives a more intimate feeling. Not to forget, a more formal gathering of sorts. You will see children creating less havoc in a formal banquet hall as compared to in an open lawn where pots might break, chaat plates must be strewn all over etc etc. From fancy lighting to chandeliers, carpeted floors (in some cases), air conditioning, decorative wall paper etc etc a banquet hall is mostly a decently done up place. As a result, you don’t have to do overtly too much to decorate your venue. Irrespective of any weather, you know you have chosen a safe option where nothing can go wrong. A banquet hall is definitely your best bet if you are getting married in monsoons. Its full proof. If you go for any other kind of wedding venue like lawns, terrace, or any other outdoor options – guaranteed, you won’t get 100% dry experience. From leakage on the sides of shaamiana’s (tents) to floors on the corners getting wet – there are lot of issues you might have to deal with on your big day. If you go for a banquet hall inside a hotel, you are definitely going to have the option of valet parking. It really is a huge advantage if you are living in a metropolitan city like Mumbai where parking is always an issue. Most of the times I have seen if there is no valet parking, guests have to park in far off places and walk down to the venue in their heavy attire. It totally ruins the mood at the start of what could have been a beautiful memorable evening. In case of standalone banquet halls as well, valet parking may be somewhat partially available. But you must definitely check it out and find out how many cars can the venue accommodate before making your final booking. Also, importantly inspect the lanes in and around the venue to know whether your guests can park outside if in case they run out of the parking space. Most of the banquets have their set of chairs and tables available with them, so the decorator usually doesn’t need to charge you extra for that. From what I have gathered, during peak seasons a chair itself can cost anywhere between Rs.50-100 a piece. If you are looking for a particular fancy set of chairs for your guests, then probably way more also plus tables are definitely much higher. So if the venue has its own set available, why not make use of it ! A banquet hall in a hotel most definitely will have qualified experienced staff who can handle crowd in a proper formal manner. So, you can completely rely on them and have a good experience at your party. Now you don’t have to check whether the food is getting served to all, or whether the guests are being well taken care of. Also, a big advantage is that you can just meet the team beforehand as compared to outdoor venues where you might be seeing the task force on the very day itself ! This is mainly because the lighting will always be perfect. Also, one can use mood lighting’s to get a different set of photos. In any case, it is completely up to you and in your control. In case of outdoor settings, the photographer will always have to change his lens depending on the timing of the event. One doesn’t ever have to worry about any electricity related issues at a Banquet Hall. No matter what goes wrong, they will always have an alternative like inverters etc which will give you a guaranteed uninterrupted hassle free wedding venue. As compared to any outdoor wedding venue, you can be sure that you as a bride will most definitely have a luxurious experience when it comes to having a dressing room. But what I personally find more important is having a comfortable washroom for guests as well as the bride to have. I think its very important that the venue has multiple washrooms so that one doesn’t have to wait in line for their turn. Something that happens quite a lot in other wedding venues. A Banquet Hall in a hotel also gives you the advantage of being able to book rooms for your travelling guests or even for the bride and groom to spend quality time post the wedding. Something that you may struggle to find in outdoor venues. 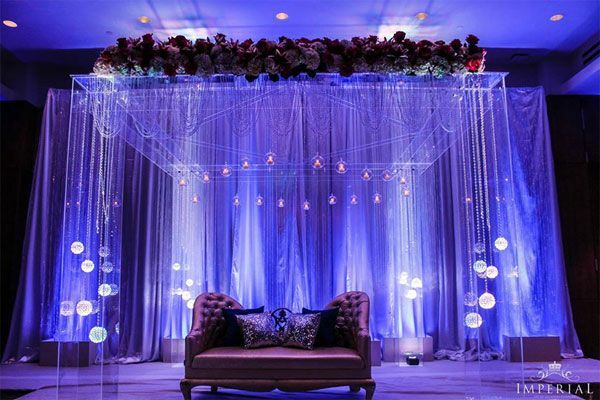 It gives a huge advantage both budget as well as logistics wise if you plan everything in a single venue. May be you could strike a combo deal of sorts with the hotel. However, if you are opting for a standalone banquet hall, this may not be possible. So choose accordingly. No 10 pm deadline. Sing, dance all night at the loudest of the volumes…and nobody outdoors will have a problem. So if that is the kind of wedding you want – party all night kinds…then by all means…you should give the banquet option a serious consideration. All n all, this is one of the most hassle free of the wedding venues one can go for. Now that we have seen all the good points of choosing a Banquet as your wedding venue, lets see if there are any significant drawbacks to choosing this option for your big day ! Depending on how fancy a banquet you choose, the budget might go upwards…quite a lot. Good hotels are definitely more expensive than that of standalone banquet halls. So decide accordingly. Its very difficult to change the arrangements in a banquet hall. By arrangements I mean – the stage area, chair and tables etc. While some may be accommodating to your requests, in most cases the managers may be quite rigid about making any minor or major changes in the venue settings. A Banquet Hall will most definitely have caterers and decorators on their panel. What this essentially means is you cannot get your own caterer or decorator from outside. So, even if banquet may be reasonable and other vendors may be expensive, you will still have to go ahead with them only. If you leave the budget aside, even if you don’t like what the decorator is showing you in terms to decor designs and props, you are stuck. You just have to make do with the person. In most cases..you may not get the ideal sized banquet hall…some may be too cramped up, while others may be too big for your crowd. Getting that perfect sized hall with all your other considerations is quite a herculean task in itself. The point where it pinches is your pocket – you may have to end up spending more on the rentals to get a bigger place even if you don’t want that much space. No alternative there.